Your service provider customers are looking to find easy ways to automate service provisioning in precise machine-to-machine transactions. That's why they need equipment providers that support their transition from CLI scripting management to precise NETCONF and YANG enabled programmable network elements. Ultimately, they need you to deliver programmability to meet their service agility and automation needs. 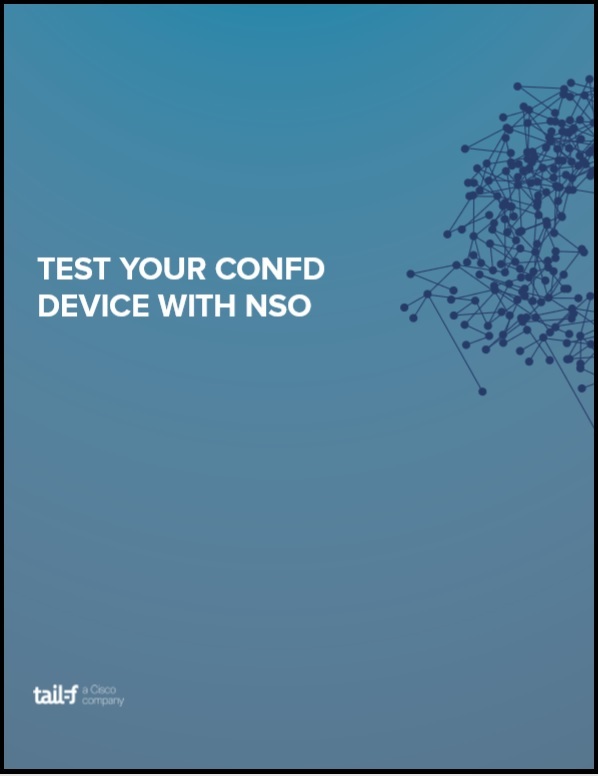 How to perform interoperability testing between NSO and the ConfD based network element which you produce. Download now to learn best practices which will help you to reduce the OPEX of and increase service agility for your service provider customers. ©2017-2019 Tail-f Systems. All Rights Reserved.